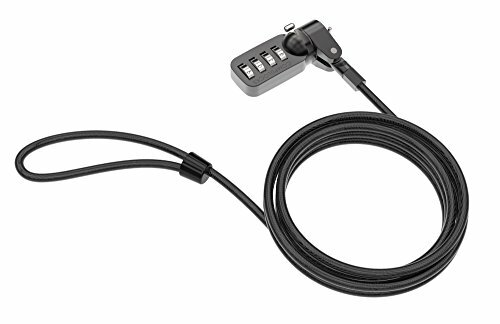 The Combination Security Cable Lock, is the perfect first line of defense against theft or unwanted borrowing. This best seller, secures all our enclosures and stands as well as thousands of computers, laptops and peripheral devices utilizing a K-Slot security connection. Maclocks Combination Cable lock is a loop-ended cable made of galvanized steel and is locks. The 4 dial combination locking head is a T-Bar design with an easy lock / unlock switch, tilting head and rotating cable to allow you to use it freely without any tangling. The cable can be looped around a stationary object, like a desk or table, or you can purchase an anchoring unit to create a secure point for tethering the cable to.